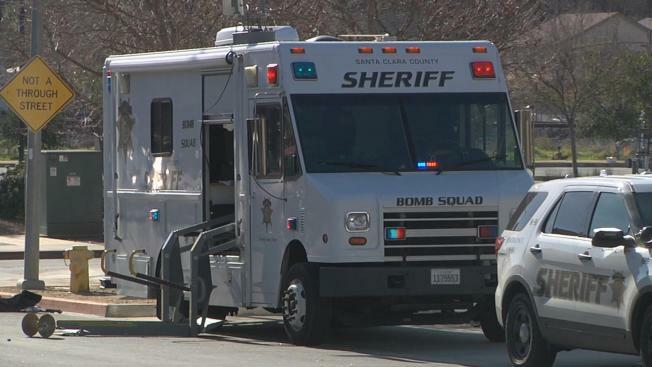 The South Santa Clara County courthouse in Morgan Hill was evacuated Tuesday afternoon and shut down for most of the day after a suspicious package was discovered, according to the Santa Clara Sheriff's Office. A bomb squad was called in to determine what was in a white box delivered to the courthouse off Butterfield Boulevard around 11:30 a.m. An x-ray machine revealed something suspicious inside the box and the bomb squad brought in a bomb-sniffing dog and other resources to determine what was inside. The bomb squad cleared the scene around 4 p.m. The Sheriff's Office is not saying what was inside the box, but confirm the box was free of explosives.